Thanksgiving is just around the corner, so we’ve been busy getting ready by gathering a list of creative ways for you to impress your friends and family this holiday, armed with nothing more than your Wine Glass Writers. 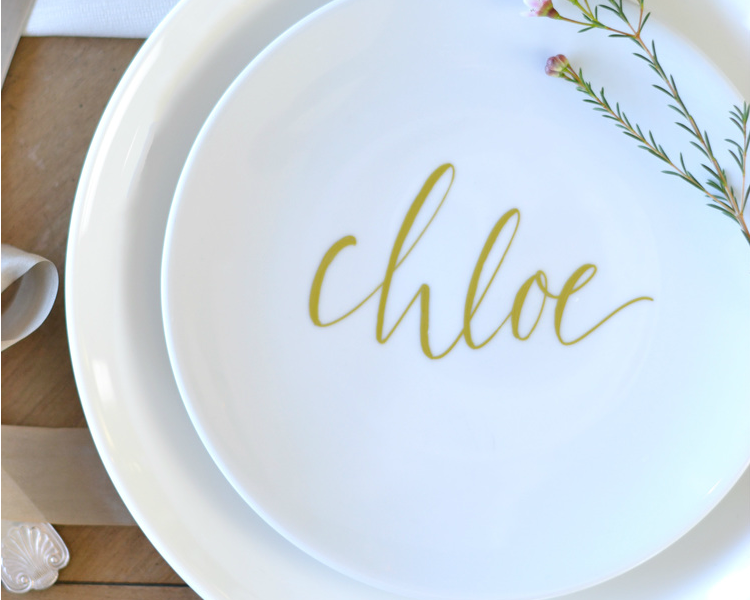 If you need ideas to spruce up your table decor, we’ve got you covered. Are you wondering how to help your guests break the ice, we can help you there too. The following hints and tips are not only simple and budget-friendly but, all of these do-it-yourself ideas will leave you making a “WOW, they thought of everything” impression. Try one or all of the following suggestions to bring your holiday to the next level. There’s nothing more awkward than a group of people who can’t find anything in common, scrolling through the Wine Glass Writer Instagram feed on their mobile phones to avoid making strained conversation. 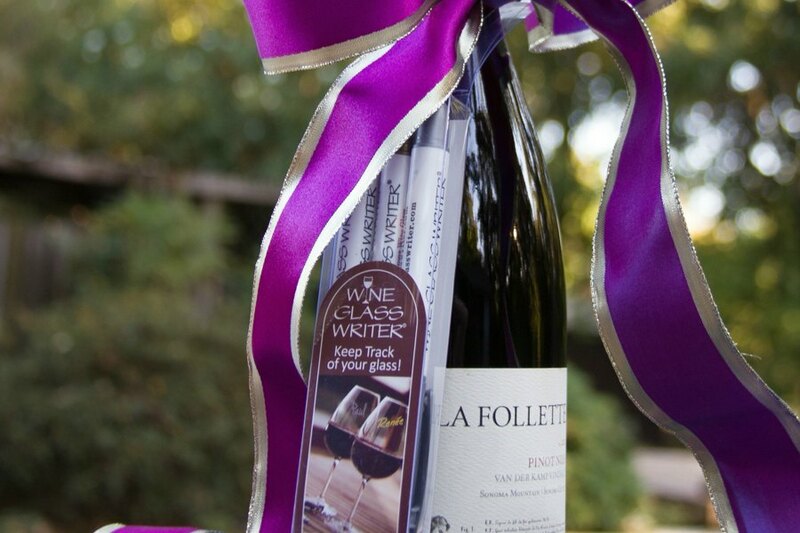 End the struggle by welcoming your guests with a beverage and handing them a Wine Glass Writer to claim their glass and discuss how creative each person has been with their Wine Glass Writer art. Instantly, all of your guests have something in common, something to lighten the mood, and obviously, this will have broken the ice. Find out what other Wine Glass Writer users had to say about the product here. You know you’ve been there, the host announces that it’s time to eat and everyone stands around the table wondering where to place themselves, worried that they’re going to take someone else’s desired seat, or worse, sit in the hosts spot…yikes! Your guests want to display proper etiquette so help make it easier for them by assigning seating. Don’t worry this doesn’t mean you have to get stuffy, spend money on place markers, or search Pinterest for free printable templates, just go grab your Wine Glass Writers. “You might be wondering if it's necessary to have place settings at a casual dinner party. It's absolutely not; however, it's a special touch that shows you put extra effort into making each guest feel cared for. If you're worried that adding place settings to your dinner will make the night feel a bit stuffy, try a funny quote instead. With the Wine Glass Writer, the possibilities are truly endless. Have a look at how they used their Wine Glass Writers here, and get inspired. 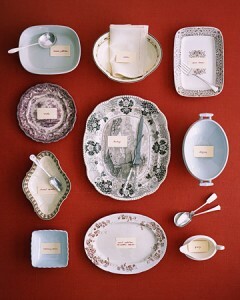 Labelling serving dishes can come in so handy in more ways than you’d think! First, labelling each bowl or platter makes it so much easier for your guests to decide if a particular dish is something that suits their palette or eating preferences. It can save a guest the embarrassment of having to ask what something is and then pass on that part of the meal after they’ve drawn attention to themselves. You may also have different styles of cranberry sauce or gravies, vegan, gluten-free, or dairy free options available. Wine Glass Writer makes it so easy to label the dish so people know what they’re taking. “Seasoned hosts know that in order to entertain successfully, you need to rely on a few time-saving tricks. Our spin on this great advice? 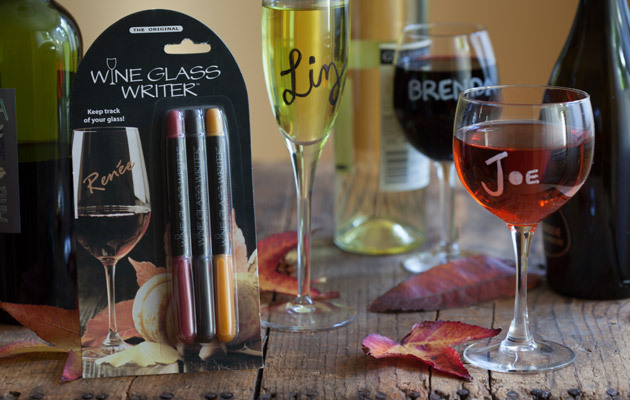 Skip the paper and pen and go straight for your Wine Glass Writers. Now you have prepared ahead of time for serving up your meal and helping your guests out with discerning the type of entree or side dish you have on the table. Two solutions in one! A great touch of class you can add to your dinner party is adding a menu for your guests instead of leaving them wondering what will be served. Sure, everyone assumes there is going to be turkey, but a menu gives the full picture and also adds a nice touch of decor. The question is, how can you do this without adding a huge task to your to-do list. Style and Cheek has a great list of ideas on their blog for decorating pumpkins. Wait, weren’t we just talking about menus? Yes, stick with us. You can grab a lot of great fall decor ideas from this post however, it was the way they used a pumpkin to display their menu that caught our attention. 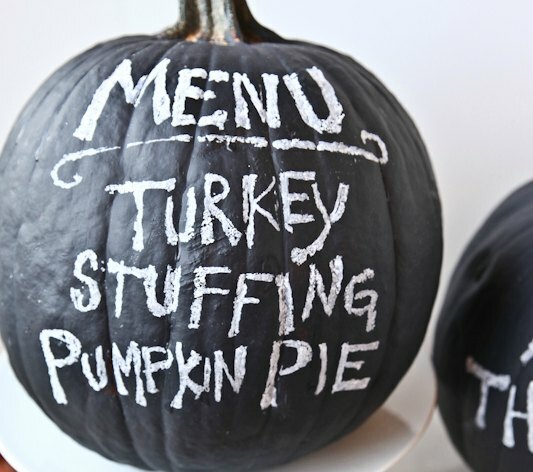 “This is a fun way to display a menu, seen here for Thanksgiving, but it could also be used as a drink menu for a Halloween party,” they say. Of course, you can see that they chose to use Chalkboard paint where naturally we would suggest you skip that messy step and simply grab your Wine Glass Writers and get to work on that pumpkin menu. So you’re not the one throwing the party? That doesn’t leave you off the hook. Guest rules include not showing up empty handed, staying out of the way, and doing as you’re told. Finally, since we know you loved our tips and tricks, adding a wine bottle gift box to the wine you're bringing is just a no-brainer! When you walk in with this great host/hostess gift you will definitely be the guest with the best.